4 Bedroom House To Rent in Camberley for £2,250 per Calendar Month. A beautiful family home located in Goldney Road, one of Camberley's most sought after residential locations. This wonderful home offers ample living accommodation for the entire family, including open plan kitchen diner, spacious living room with dual aspect balconies looking to the front and rear of the property. Four double bedrooms, the master suite consisting of open plan ensuite shower and bathroom suite and a further family bathroom and W/C. Also offering a private rear garden with its very own outdoor swimming pool. Large driveway and double garage for ample off road parking. 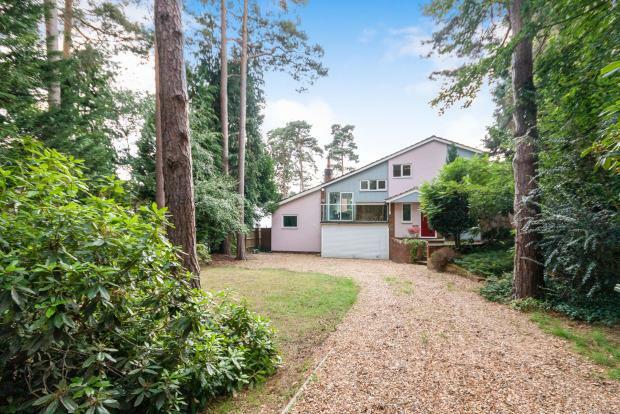 Goldney Road is situated a little over 1.5 miles from the Camberley train station and town centre with very easy access to the M3 motorway. Within close proximity of the sought after Heatherside village where you will find a host of local amenities including Heatherside Surgery, convenience stores, restaurants and takeaways. Local schools including Heather Ridge and Prior Heath Infants and Tomlinscote and Collingwood Secondary schools.